With the threat of winter weather, with freezing temperatures, ice and even snow affecting the area, Auburn College of Veterinary Medicine faculty offer some tips for keeping your large and small animals happy, healthy and warm. Ensure that your horses have access to clean, fresh water. When temperatures fall below freezing, water troughs and buckets can freeze, limiting their access to water. Also, horses will increase their water intake if the water is slightly warmed. For these reasons, consider using a device that helps eliminate ice within a water source. If your horse can eat hay, allow access to good-quality hay which the horse has been previously introduced. 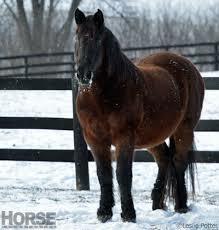 Horses tend to increase caloric demands to regulate their body temperature during cold weather. Provide access to shelter to allow the horses to be shielded from the wind and freezing rain/sleet. Application of a blanket is warranted in thin horses (those with little to no winter coat, clipped, and older horses). During cold, wintery weather, dogs and cats should be kept inside. If left outside, they can develop frostbite and hypothermia, similar to people. Be careful when filling your car’s radiator or if there’s a radiator leak. 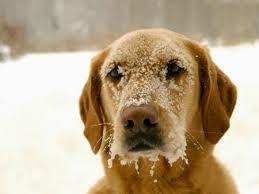 Antifreeze can contain ethylene glycol and if ingested, can be deadly to pets. Contact your veterinar ian immediately if this occurs! Cars can be a source of heat and many pets may put themselves at risk by snuggling up. Some cats will even hide under the hood. Keep an eye out for your pets and avoid leaving your car in idle. Rodents get cold too and can use our homes for shelter increasing the use of pesticides. These can also be deadly to our pets and could cause bleeding, seizures, and lethal kidney damage. The Auburn University Veterinary Teaching Hospital provides emergency care for both small and large animals 24/7. If you need assistance, call the Bailey Small Animal Teaching Hospital at 334/844-4690; or the J.T. Vaughan Large Animal Teaching Hospital at 334/844-4490. Or, go online to www.vetmed.auburn.edu and click on Animal Owners.